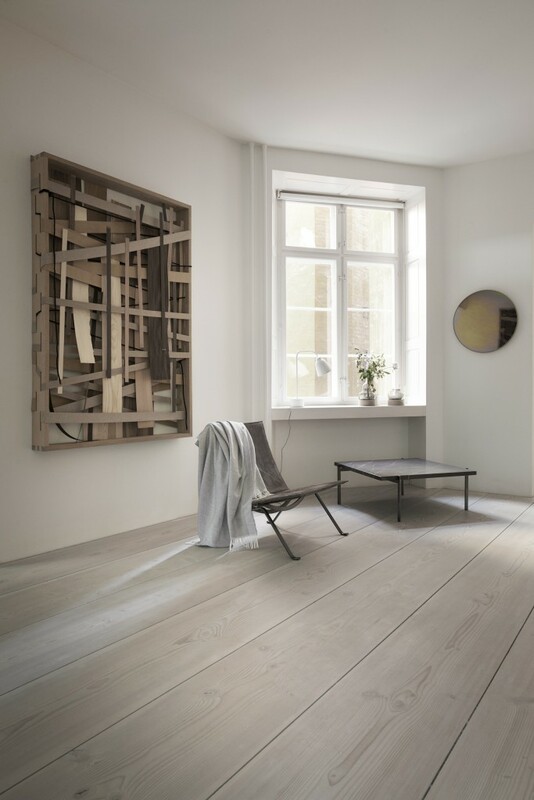 On the occasion of 3daysofdesign last month, Georg Jensen Damask, Fritz Hansen, and Dinesen invited Pernille Egeskov to interpret their legacies of quality and craftsmanship. What happens when three of Denmark’s top home design brands join forces? 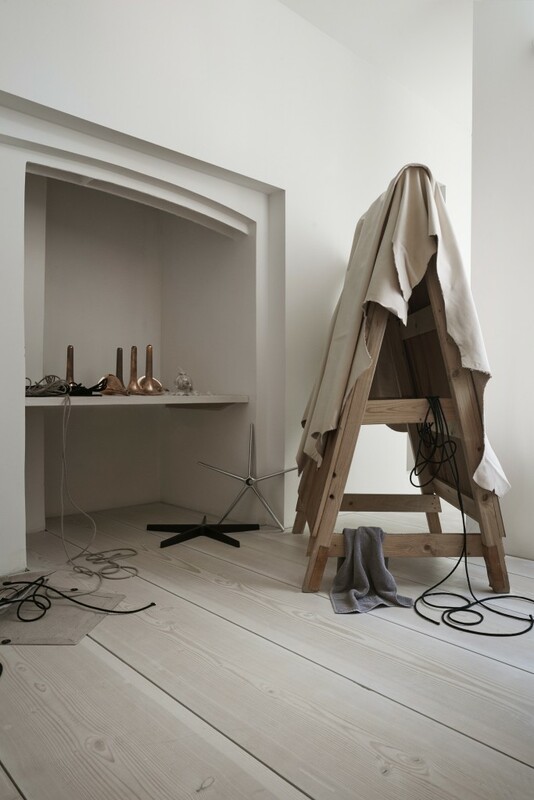 On the occasion of 3daysofdesign last month, Georg Jensen Damask, Fritz Hansen, and Dinesen invited Pernille Egeskov to interpret their legacies of quality and craftsmanship. 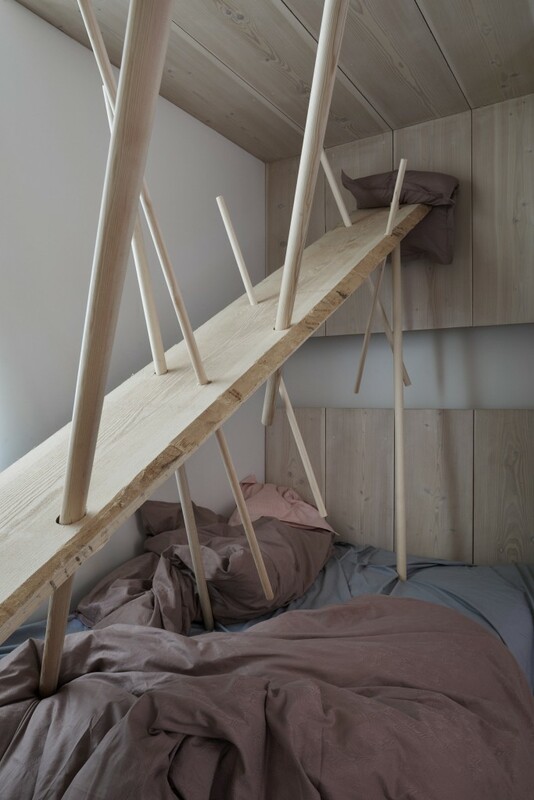 Drawing on centuries of tradition, the Copenhagen-based artist created a site-specific installation that captured the familiar rituals and relations of the domestic setting. 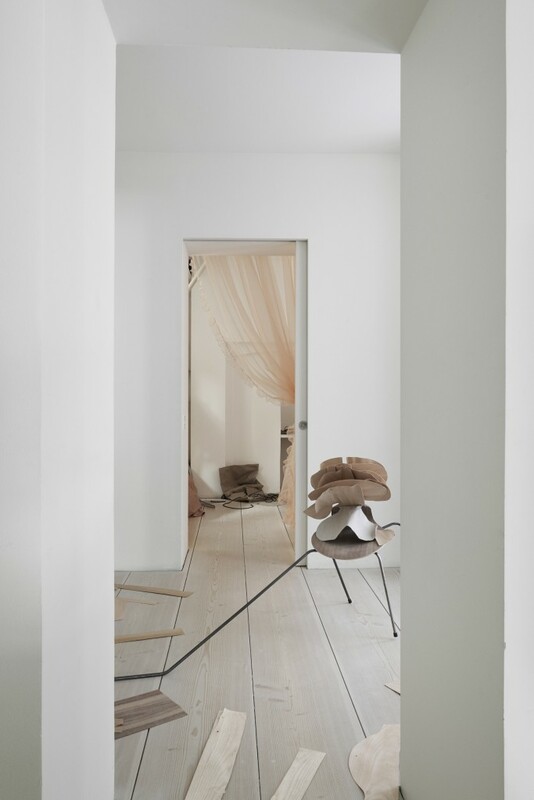 “HJEM” — Danish for “home” — was on view at Dinesen Home showroom during Copenhagen’s weekend-long design festival. 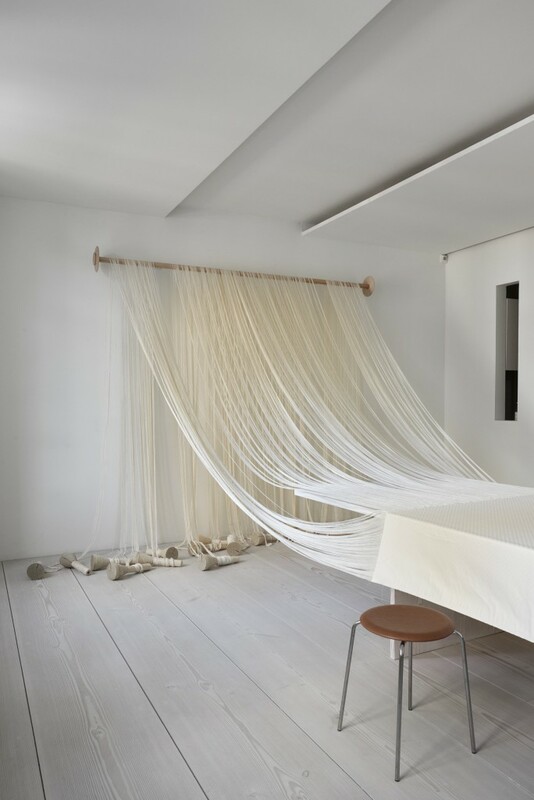 Best known for her work with textiles and fibers, Egeskov worked with heirloom-quality materials from the three brands to craft a narrative in six rooms. 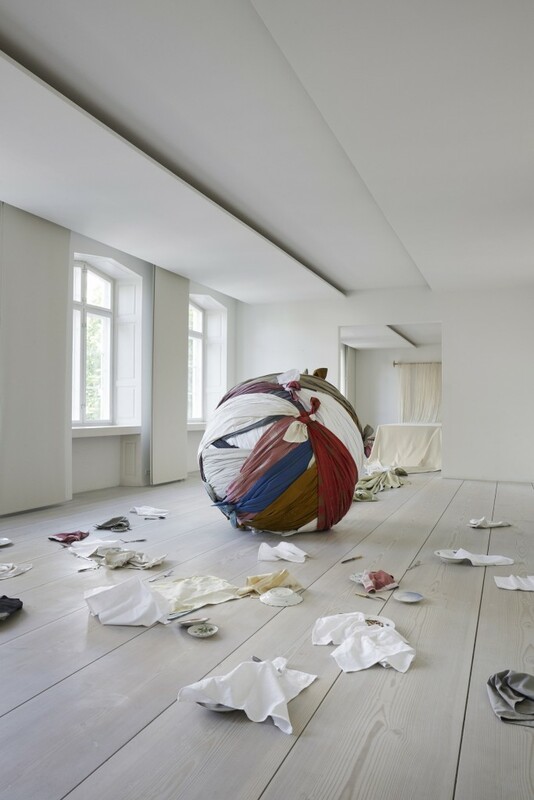 From a giant ball of “yarn” made from tablecloths to deconstructed chairs and floorboards, the home is rendered as a series of vignettes about everyday life. 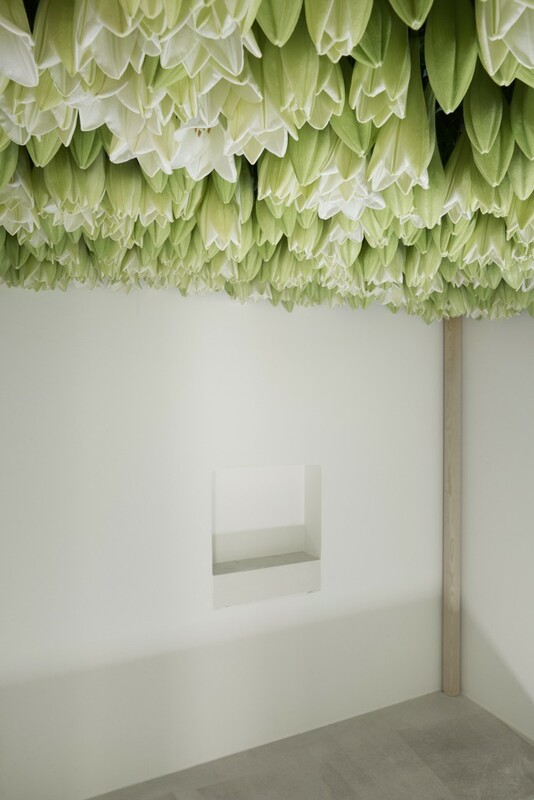 Thus, “HJEM” reimagines the storied Danish traditions of textiles, furniture, and flooring in an unexpectedly intimate way.